Stanley Fischer, the former head of the Bank of Israel, doesn’t think the Fed’s policy of forward guidance is beneficial for the economy. He believes it limits what the Fed can do in the future and confuses the market. Fischer is not necessarily wrong here. If the market does not believe that the Fed will adjust its policy to different labor market conditions, then forward guidance will continually cause shocks to the market as the central bank makes those adjustments. The Fed needs to credibly tell investors that it reacts to economic data. Last week’s non-taper put actions behind those words. Now, we’ll find out if the market has learned from it. 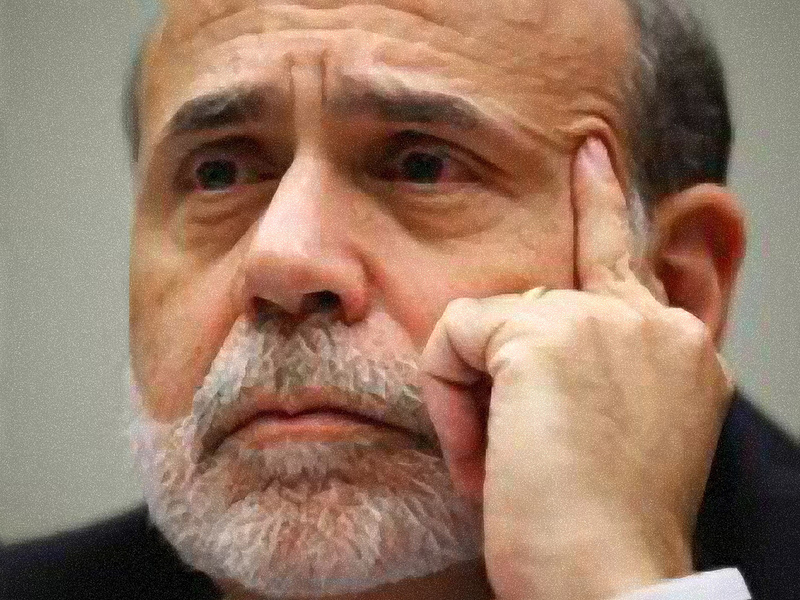 The market is not listening to Ben Bernanke. The purpose of forward guidance is to give the market a clear understanding of the future path of monetary policy. As Fischer say though, the central bank itself doesn’t know what that path will be. This means that the Fed must condition its forward guidance on future economic data. If that data comes in as expected, the Fed will take the path it laid out. If it comes in above or below expectations, it will adjust its policy accordingly. When investors have a better understanding of future monetary policy, there are fewer shocks and swings in the market. Resources are allocated more efficiently between different asset classes and across different time horizons due to the predictable nature of policy. The market functions more smoothly. That is the rationale behind a rules-based monetary policy regime. Forward guidance is an attempt to implement a qualitative rules-based regime. That’s exactly what Bernanke was trying to do in June, but the market overreacted and took it to mean that the Fed was set on tapering in September. That’s the problem with such a policy: if the market regularly overreacts to the Fed’s forward guidance, then it doesn’t work. When the market assumes that Fed policy is static and then the Fed adjusts its policy in light of the current economic conditions (as it said it would do), then wide swings in the market take place. This isn’t the Fed’s fault. It’s the market’s. The question is whether investors and journalists will realize that Fed policy is dynamic and forward guidance is only a guide. Mark Dow is skeptical, saying its human nature for the market to overreact and human nature doesn’t change. He may be right, but the upcoming months should test that theory. If economic data continues to come in below expectations, the Fed will likely delay tapering yet again. Will the market realize that or will it once again blindly assume that the taper is coming? If the market does blindly assume that the Fed won’t adjust its policy, then the Fed must realize that forward guidance doesn’t work. Bernanke could not have made it more clear, both in his press conference and now by the action (or lack thereof) the Fed has taken, that the central bank is data-dependent. If the market has not learned by the next FOMC meeting, it’s never going to and the Fed must admit defeat. In that case, Stanley Fischer would be right: forward guidance just confuses the market. However, I’m not ready to make that determination quite yet. We should know soon enough.